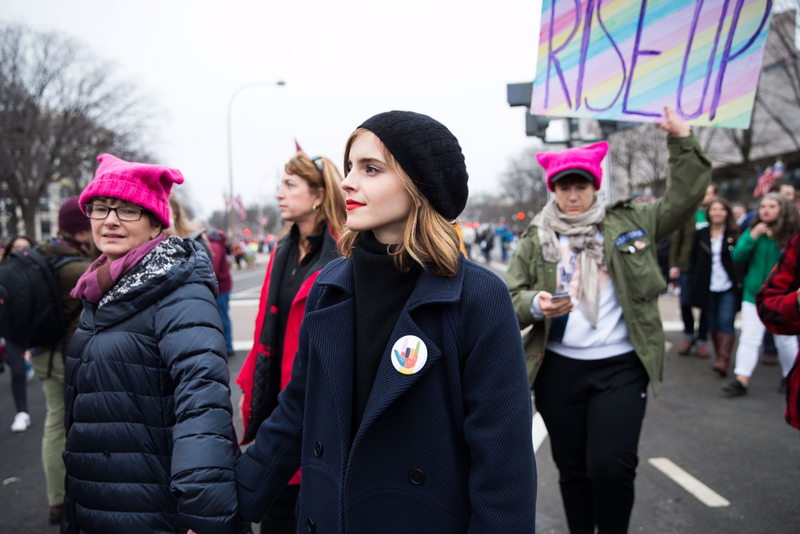 Among the thousands of people who flocked to Washington, D.C. for Saturday’s incredible Women’s March were Emma Watson and her mom, whose presence at the demonstration warmed our hearts and ignited our activist spirit for the many years of resistance ahead of us. 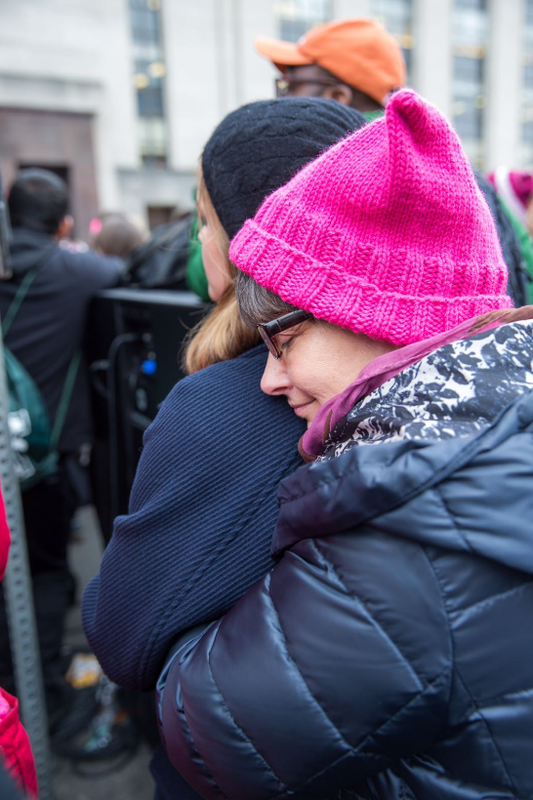 The actress, U.N. Women Goodwill Ambassador and founder of the feminist HeForShe campaign, joined the crowd of around half a million people in D.C. — her first march ever. "It's really emotional for me," said Watson in a video interview. "I flew here from England with my mother, and just to see the turn out, just to see that thousands of people showed up today is just incredibly heartening and it feels incredibly positive." 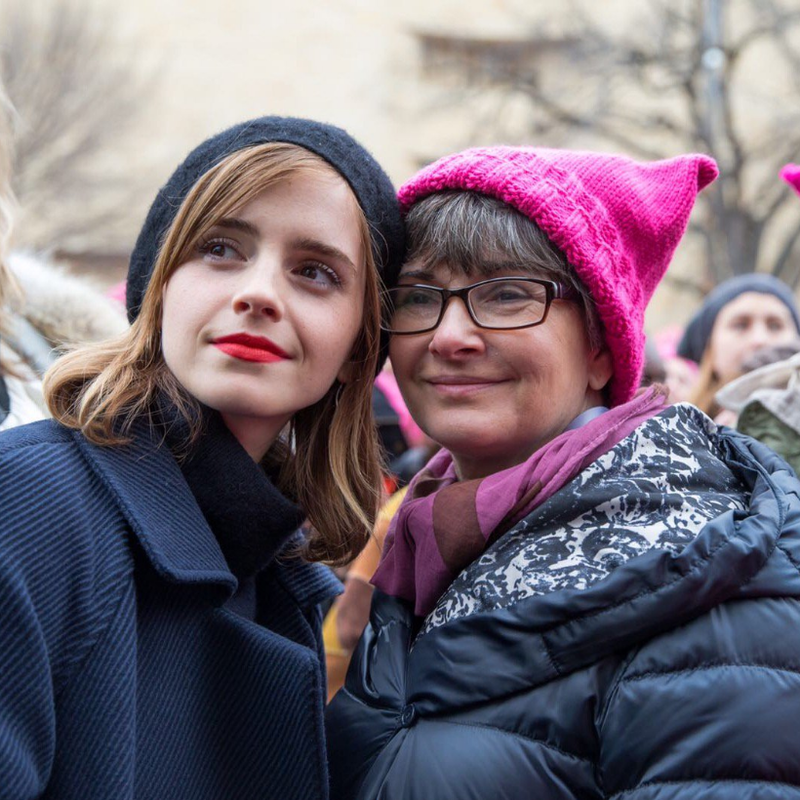 Watson also shared photos and videos of the massive crowds at the event, stopping to meet fans and fellow marchers. Watson first “came out” as a feminist in 2014 when she announced the launch of HeForShe in a speech at the U.N. headquarters in New York. “I decided I was a feminist and this seemed uncomplicated to me,” she said in the now-famous speech. "I am from Britain and think it is right that as a woman I am paid the same as my male counterparts. I think it is right that I should be able to make decisions about my own body. I think it is right that women be involved on my behalf in the policies and decision-making of my country. I think it is right that socially I am afforded the same respect as men." She has since gone on to launch a feminist online book club, called Our Shared Shelf, and in 2016 announced that she was taking a year off of acting to expand her knowledge of feminist theory and history. All we have to say is: You go, girl!